There are ghosts and they inhabit other grids. They are the souls of avatars lost to us, like echos from other dimension, it is said, though no one knows for sure. What we do know is a weakness in the structure of metaverse has opened and they now wander. This installation continues an ongoing theme of reflections in virtual space. 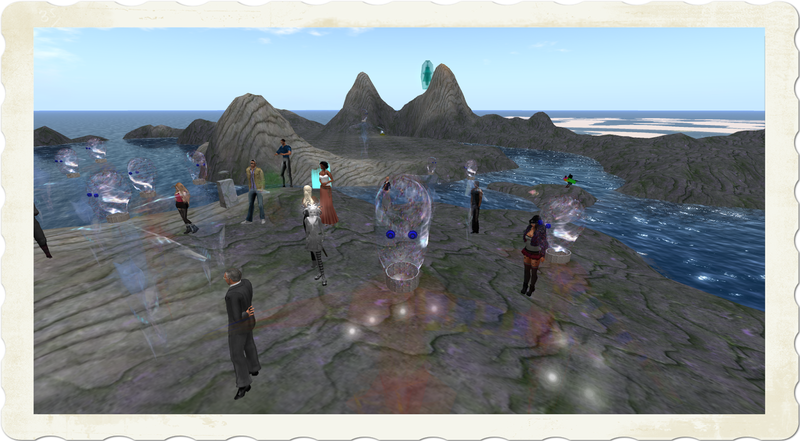 In this case the avatars are reflected from an identical sim in the Second Life Grid to here and visa versa. their movement, the avatars height and rotation are reflected on to this sim. They are the shadows of shadows or, if you like the avatars of avatars of people. 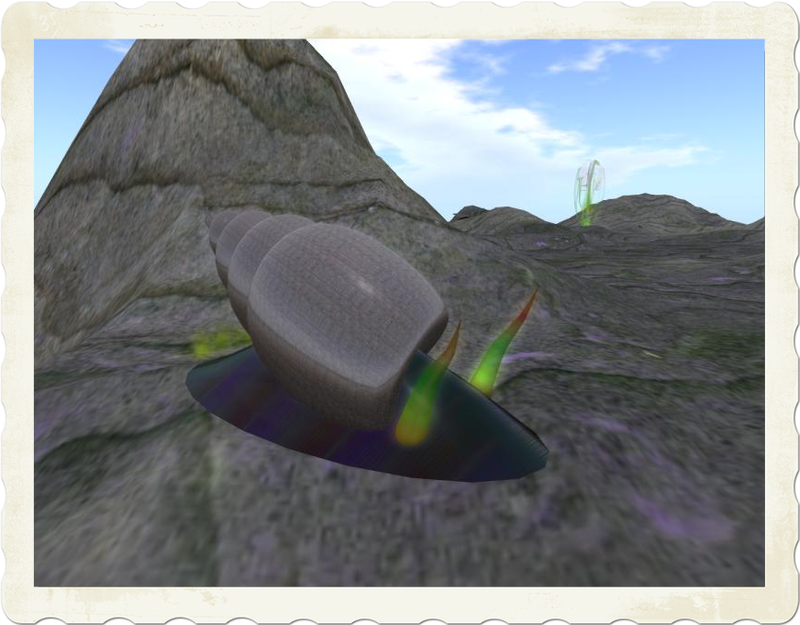 This was the start of an intriguing note that was sent by Jeri Rahja from Inworldz Dreamz and Visionz Art Fests. Glyph Graves managed to do great wizardry by creating a channel from grid to grid, in this case SL and Inworldz. We are able to chat with the people on the other side and they appear to us as a ghost avi or the other way around. I had a wonderfull experience and some nice chats. Ghosts and avies on the "other"side. When a ghost is in conversation it has colors. The landscape fits the ghostly theme as a glove, desolate and mysterious. Dj G-Winz's matching music made the fest complete. Natural habitat for these horrid slimey creatures ..